The space sector has progressively witnessed the rise of new stakeholders starting investing in space technologies and projects. Relevant geopolitical actors in different regions of the globe and many smaller nations, in economy or population size, are positioning as emerging space powers, generally featuring relatively small-scale investments in space applications linked to specific national socio-economic development objectives. The variety of countries progressively engaging in space activities requires an accurate analysis of their trends without making generalizations, as each country tends to give a peculiar focus to its space investment portfolio. The possession and development of space capabilities constitutes a relevant strategic goal for emerging or less developed economies. Efficient space systems can serve as instruments to boost national economic framework, reach development objectives in different fields and foster the prestige and geopolitical role of a given country. Investment in space technologies is often valued as a strategic option and viewed as an accelerator of social and economic development, benefiting populations, rural communities, manifold industrial sectors, technology know-how, education, and various other activities. Most countries have integrated the inception of their space programs inside a wider national plan for science and technology aimed at developing high-tech industries, science and innovation. Satellite technology provides a wide range of benefits in key areas for developing countries such as agriculture, forestry, fisheries, biodiversity and environmental protection, urban and regional planning. Earth observation systems, for example, aid land monitoring and management of water resources, helping to assess agricultural land use and trends, their impacts on biodiversity and landscapes, crop conditions and yield forecasts. Space assets also provide information on climate change, urban growth, parameters of marine waters and pollution. Several economic studies have already demonstrated a huge potential for job creation, innovation and growth. Brazil, whose space program dates back to 1960 when the government first developed a national program for space exploration, updated in 2012 the document Programa Nacional de Atividades Espaciais (PNAE) Planejamento 2012-2021, describing programmatic goals, organizational structure and anticipated budget resources that the Agência Espacial Brasileira (AEB) will require to execute national space program between 2012 and 2021. For 2012 Federal Budget authorized 440.280 million reais (USD 219.10 million) in funding for civil space activities, including 348.780 million reais (USD 173.57 million) for AEB and 91.50 million reais (USD 45.53 million) for the Ministério da Ciência, Tecnologia e Inovação, the Agency’s parent organization. Brazilian space program, aimed at joining the front ranks of spacefaring nations in the near future, included national development of a geostationary communications satellite, continued support to the joint China-Brazil Earth Resources (CBERS) satellite program, development of two indigenous Brazilian space launch vehicles, support of the joint Brazil-Ukraine Cyclone launch vehicle program and the establishment of a science and technology research satellite program. In a second phase, from 2015 to 2021, the goal is the expansion of space industry capabilities with the development of additional communications satellites, a radar-based Earth observation satellite, a geostationary meteorological satellite and the improvement of the Brazilian space launch capabilities. Brazil is signing a growing number of bilateral agreements in different sectors of space activities: launch vehicles (Ukraine and Germany), satellite telecommunications (France), Earth observation (China), small-satellite development (Argentina and Japan) and space technology development (Canada and France). South Korea, that started its space activities in the early 1990s, established its first Space Development Basic Plan in 2007 including space development issues such as policy, organizational structure, financial resources and international cooperation. The Korea Aerospace Research Institute (KARI) manages the space program under the responsibility of the Ministry of Science, ICT and Future Planning, mainly acting as a research agency. The Second Basic Plan for 2012-2016 was released in 2012, allocating 348.2 billion Korean Won (about USD 318 million) to the space budget for 2013. KARI is actively involved in the development of space launch vehicles; in 2013 South Korea successfully launched Naro-1 rocket, previously known as the Korea Space Launch Vehicle (KSLV). The total cost of the KSLV-1 program have been estimated at 502.5 billion Korean Won (USD 440 million). South Korea is one of the most active emerging space actors, also investing in the field of space applications and Earth observation; KOMPSAT-3 optical EO satellite was launched in 2012. 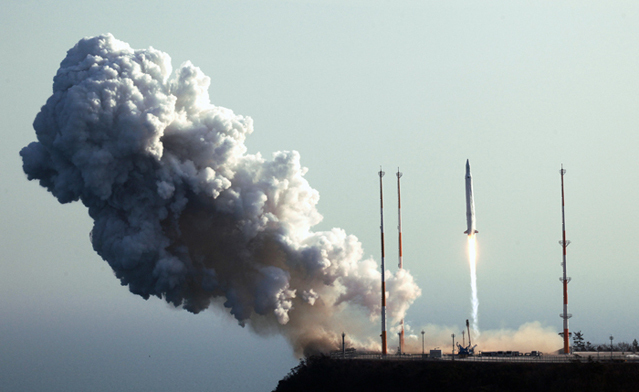 Korea’s first successful Naro rocket launch takes place at Naro Space Center in Goheung, Jeollanam-do (South Jeolla Province) at 4 p.m. on January 30, 2013. – Credits: KARI. Israel began its space program in the early 1960s with university-based research and established the National Committee for Space Research in 1963. Two decades later, in 1983, the Israel Space Agency (ISA) was established in affiliation to the Ministry of Science, Culture & Sport with the task of coordinating national space activities, launching Israel’s first satellite Ofek-1 in 1988. In 2013 ISA’s director indicated that the Agency’s 2013 budget was 91.8 million New Israeli Shekel (NIS) (USD 23.5 million). About a half of ISA budget is devoted to international cooperation on satellite development projects, 10% to ISA operations, 25% to technology research and development, 15% to grants to academia. Israel carries on its military space program, as military and defense issues have historically been the main drivers of national space activities. Israel is currently planning to move beyond its focus on spy and military communications satellites, using the expertise of its defense industry to produce civil devices. The need to boost national civil space program responds to the aim of sharing a quote of global commercial space market. Issac Ben-Israel, ISA’s chairman, hopes Israel will capture at least 3% commercial market share. Israel’s Ofek 10 satellite. – Credits: Israel Defense Ministry. Throughout the world, a growing number of countries progressively developed their own space programs along different paths and with manifold objectives; an overview on some of them allows an analysis of the purposes of these countries and the emerging trends of the space sector. Mexico has established its space agency, Agencia Espacial Mexicana (AEM), in 2010. AEM started operations in late 2011 and in 2012, the first full year of activity, received 60 million pesos (USD 4 million) from the government. As it stands as a young and growing agency, AEM’s budget is expected to grow in the following years (for 2013 the amount was estimated at 97 million pesos – USD 7 million). The Mexican space industry emerged in the fifties, during the arising of projects to design rockets and communication systems. One of AEM’s mid-term goals is to develop the industry’s satellite design and manufacturing capabilities so that future satellites will be at least 50% built by Mexican companies. In 2012 Mexico announced the modernization of the Sistema Satelital Mexicano (MEXSAT), with the aim of increasing the availability of communications services throughout the country. AEM’s priority is the development of a satellite-based early warning system for disaster prevention and response. South Africa started its first space program in the 1980s, aimed at developing an Earth observation satellite, a launcher and all the necessary facilities to support these activities. The first South African satellite, Sunsat-1, was launched in 1999 and the South African National Space Agency (SANSA) was established in 2010, falling under the Department of Science and Technology. In fiscal year 2012 the government planned to spend about 418.5 million rand (USD 51.18 million) on space activities and SANSA estimated a budget of 144 million rand (USD 17.6 million). In FY 2012 the Department of Science and Technology planned investment of 54.8 million rand (USD 6.7 million) in its space science research program, including 11.8 million rand (USD 1.4 million) for the Square Kilometer Array (SKA) program, a large-scale international radio telescope project. National space agency’s funding also includes expenditures on research into satellite technology development. In 2012 SANSA started the development of a South African Earth observation satellite, to be known as ZA-ARMC1; the total cost of the program is estimated at 450 million rand (USD 55 million). Iran effectively began its space program in 2004, establishing the Iranian Space Agency (the Agency in its current configuration was formed in 2010). In 2002 then-President Khatami ordered the ministries of Science and Telecommunications to establish a national program for achieving space capabilities, especially focused on the design and development of satellites with Russian cooperation. His successor President Ahmadinejad shifted the main focus of Iranian space program on launchers. Information and data about Iran’s space projects are sometimes controversial and ambiguous; at the beginning of 2015 international press agencies even reported of a prospective cancellation of Iranian space program. Singapore positioned itself as another Southeast Asian country with space aspirations. Most international commercial space companies maintain offices in the country, encouraged by favourable tax laws. In 2006 the Singapore Space & Technology Association (SSTA), a private entity, was created. Its board includes senior representatives from the Singapore Economic Development Board, the Defense Sciences Organization, the Civil Aviation Authority of Singapore, the National University of Singapore and Singapore Technologies (ST) Electronics. In 2011 the government announced its plans to transform the international space-related presence in the country to a more comprehensive space industry and business hub for the entire South-East Asia region. Nigeria is running one of Africa’s biggest space programs, officially announced in 2003. One of the ultimate goals is the satellite-based project will help manage agricultural production. The National Space Research and Development Agency (NASRDA) was established in May 5, 1999. Nigeria is committed to growing its expertise in space science and technology to contribute significantly to the technological prowess and socio-economic development of the nation. 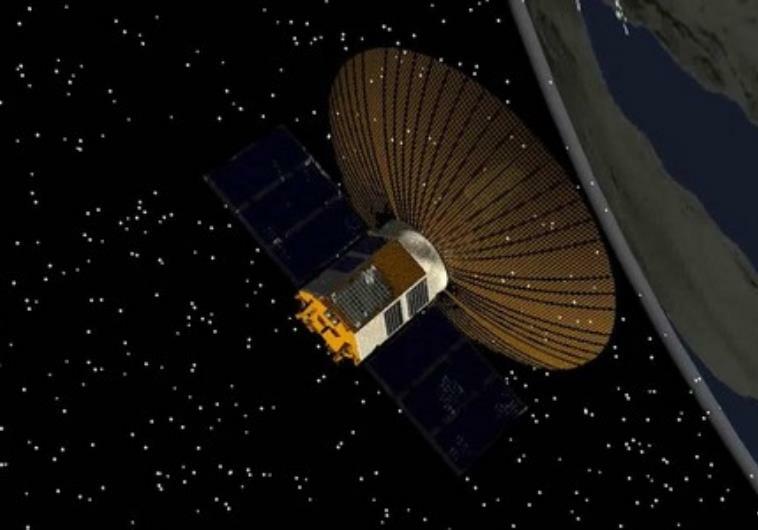 In 2012 the government allocated 2.942 billion Nairas (USD 18.1 million) to the Nigerian Communication Satellite Limited company, the state-owned corporation that operates Nigeria’s NigComSat-1 communications satellite. NigComSat-1R, built in China, was launched in 2011 and has boosted internet and telecommunications services across the country. Earth observation satellites NigeriaSat-1, NigeriaSat2, NigeriaSat-X are part of the effort to protect long-term food supply, environmental conditions and national security, being also useful in the government’s fight against militants in the North (e.g. Boko Haram). Argentina, whose first activities in space date back to 1961, created the National Commission for Space Activities (CONAE) in 1991 as a civil entity reporting directly to the President. Since 1996 CONAE accomplishes its tasks governed by the Ministry of Foreign Affairs. CONAE devoted 449.96 million Argentinian pesos (USD 99.50 million), about 71% of the agency’s 2012 budget, to activities related to Earth observation and development of services based on Earth observation data. The involvement in space activities of such a growing number of countries worldwide testifies that globalization of the space sector is steadily accelerating. While in the past only a few countries had the capacity to build and launch a satellite, now many more countries and corporate players are engaged in space-related activities, a trend that is expected to strengthen in the coming years.